Share your dogs love with the Red and White Enamel Hearts Lobster Claw Dog Collar Charm! 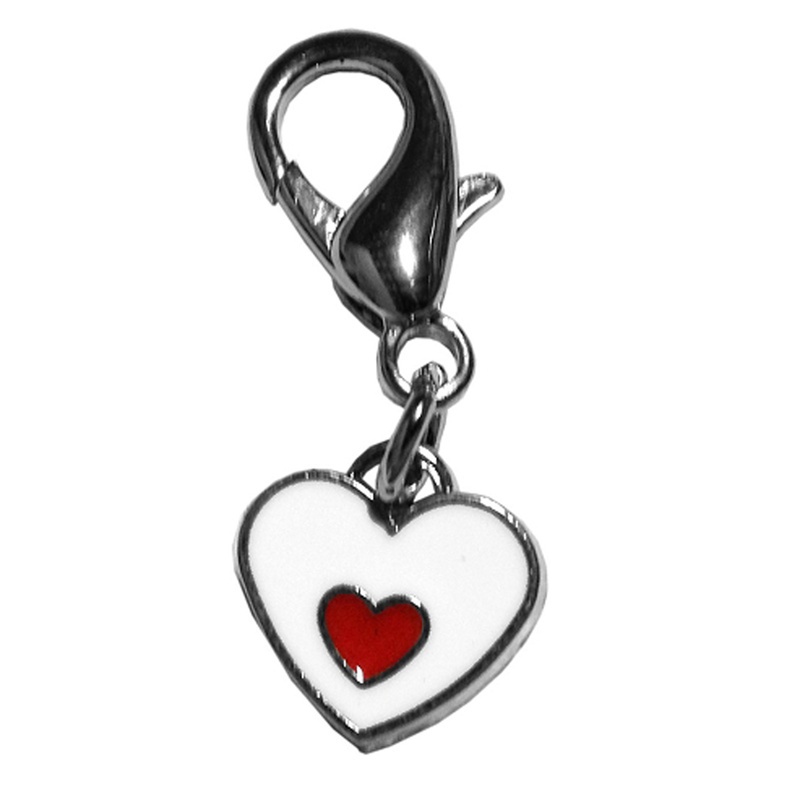 Your sweet loving pup will love this added collar charm. Mirage Collar Charms are hand enameled and crafted in the U.S.A. from the highest quality jewelry materials. The lobster clasp fits most dog collar d-rings. Posted On 04/01/17 by Heidi from , IN Yes, Heidi recommends this product! This is a really nice charm. I expected it to be larger in size. Sometimes it's difficult to tell from a picture. My dog is an 18 lb. Shih Tzu and it looked cute on his collar for Valentine's Day, but it was a bit lost. Wish it was bigger. It would be great for teacup sized dogs! Posted On 02/22/17 by Camille S from Chattanooga, TN Yes, Camille S recommends this product! Posted On 12/04/16 by sherry m from , Yes, sherry m recommends this product! Had the exact item I had been searching for.